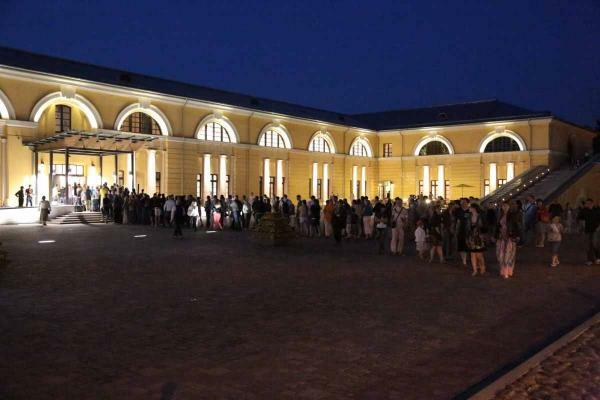 the Latvian city of Daugavpils this year has caused an unusual interest in connection with which opened here by the contemporary art Centre of Mark Rothko. 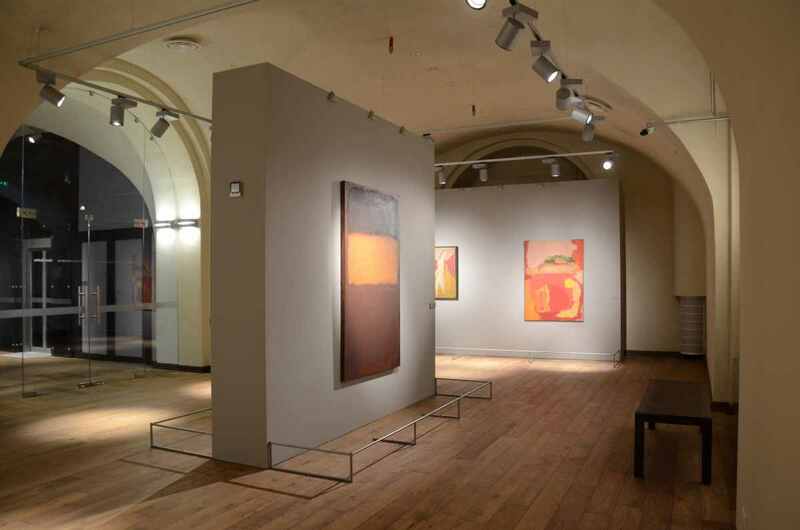 Hometown of the artist (in 1903 Dvinsk, Vitebsk province, in 2013 the Latvian city on the border with Belarus) has today a unique Museum where there are original Rothko, the legacy of which is presented mainly in the United States. In addition to Rothko memorial mission Centre aims to become the center of cultural initiatives and projects in the artistic history of the region. Competitors on this way the center does not have – is a city of industrial ruins, which fades in the gardens. Against this background, the newly reconstructed building of the Arsenal, where is Rothko Center, looks a bit surreal, but overall positive. Museum café the waitresses are serious and important – late morning and the café ten people, so the coffee is a long time, take lunch. Comes to meet Farida, Zaletilo, chief curator, Daugavpils Mark Rothko Center. It was her initiative and personal acquaintance with the heirs of the artist led to the emergence of the center. - Farida, how did the choice of the building for Rothko Centre, and how long did the restoration? - several years We discussed the possibility of building a special building, but could not find a suitable site. The abandoned cemetery or the industrial suburbs did not seem suitable places for the future center. Then came the idea to make the center in a historic fortress, favorite child of Alexander I — Arsenal, where the Russian tsars were stopped on the way from St. Petersburg to Warsaw. The repair was very quick. In April last year after years of requests we finally received the first sum of money from European funds. We were offered to make repairs during the half year to September 2013, when they had held activities in honor of the 110th-летия birthday of Rothko. However, providing money, funds soon began to worry and began to insist that the center opened in the spring and began to demonstrate attendance. So we had to open in April with a semi-exposure and big plans for the future. That is, repairs of a building of the Arsenal, we managed to do in 11 months. - Incredible pace. Were you able to do now all the things that had not the opening? - Now, four months after a soft opening, the center works in full. In addition to the permanent exhibition already took place several temporary projects related to art culture and history of the region. - What is included in the permanent collection of the Center? - This six paintings by Mark Rothko – "Mother and child", 1940; "Sacrifice of Iphigenia", 1942; "high priest", 1945, "No. 7 (Orange and chocolate)", 1957; " No. 10 (Brown, black, Sienna on dark-винном)", 1963 and "untitled (multi-form)", 1948.
in Addition to the permanent exhibition centre — photographs, books, and favorite album artist. Also we have implemented one of the ideas-фикс Rothko, recreated the so-called silent room — room-лабиринт, where you can come and be silent. - What was the starting point in working with the space centre? Very nice idea with blank canvases, which are placed along the walls. - Thank you. Rothko was extremely scrupulous in regard to displaying their work, and very demanding space and lighting. To the entire environment. And we have tried to comply with all his wishes. Worked with archives, notes, memories. The furniture that you see in the center, restored according to photographs from the artist's Studio. I wanted not only the best way to show each object, but also to create harmony with the space Arsenal. We tried to show most reverent attitude to the building. All done with tenderness and delicacy. The clean and simple without distractions. - How did you manage to get the originals Rothko? 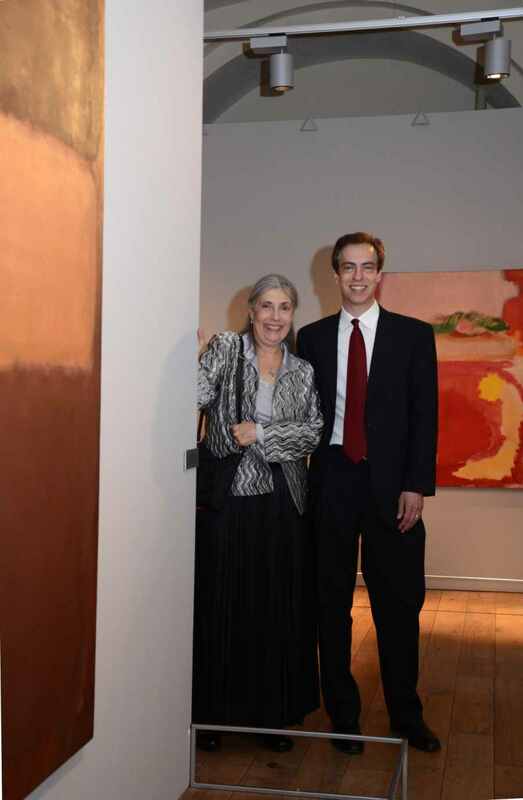 - All artworks were provided by the artist's children, Kate and Christopher Rothko, as a long-term lease. The family reserves the right to change a work in the exhibition, if it is needed for another project, giving us instead what-то else. 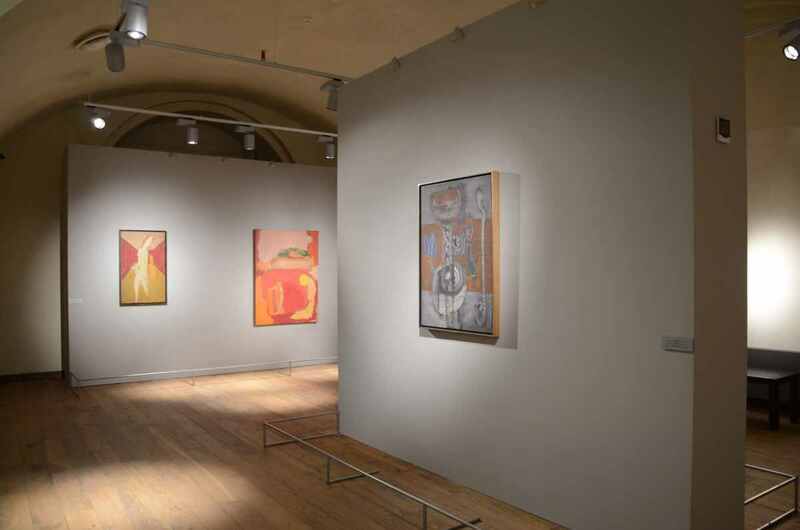 The heirs of Rothko financial also participated in the delivery of works in Latvia, they added $ 30,000, which did not suffice a Museum. - How did the choice work? Why mainly early works? 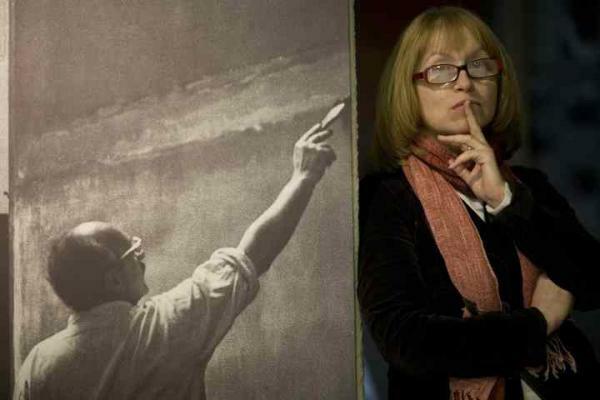 - In the opinion of the Rothko children, early stuff is best suited for the city, where the artist spent his childhood. We are very fortunate that the exhibition includes important work in transition "untitled. Multi-form" and the masterpieces of surrealist painting by Rothko. Christopher at all convinced that the world when-нибудь will discover this period 30-40 years that Rothko-сюрреалист underrated. To my great regret, when the national gallery in Washington wanted to give our center a few years on two paintings of the classical period, the Museum was unable to find the money or the insurance of these works. These are two stunning large-scale paintings of the classical phase of his art. However, we have slides, prints and archival materials from the National gallery, which today is the owner of the largest Rothko collection in the world, inheriting a collection of Rothko Foundation. - the Center is funded by the municipal? 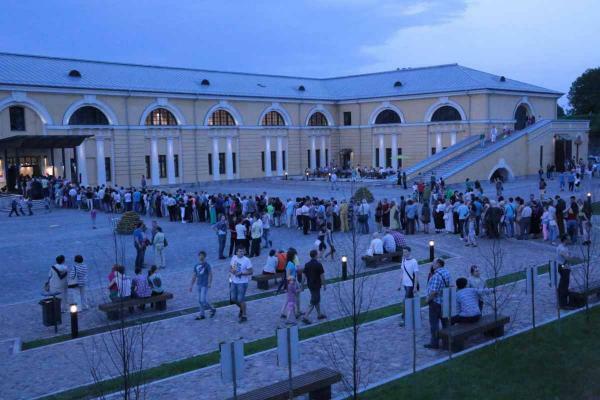 - How many people have visited the Museum since the opening? - For the first three months in the Museum came 32000 visitors, and it is important to understand that the vast number of people specially for this purpose arrived to Daugavpils. This absolutely incredible performance for the city, where everything is just left of the last decade. A very important achievement was that among those people there are not only foreign art-туристы, but also Latvians themselves, who will very rarely leave the area where they were born. Which, however, does not prevent talk of a burden on the shoulders of our taxpayers. So we can say that the most difficult thing in the work of the centre is the interaction with the local community. - With the international community to interact easier? - Absolutely. Every September we hold an international Symposium attended by leading experts on Rothko from Washington, Basel, new-Йорка, San-Диего, etc. the First plein-air was held in 2005, the initiative has become an annual event, during which we were visited by representatives of major museums, foundations, famous critics and curators from around the world. - Whom do you expect for the next Symposium? - In the year of Riga – European capital of culture, we organize a series of events will come sir Norman Rosenthal, new-йоркский critic Jon young, curated by David Anfam and many other distinguished guests. Re-arriving at the Symposium, Kate Rothko. We plan to organize a special train to Riga-Даугавпилс where everyone will be able to come to the reading at the Rothko Centre. - As you can see the goal for the near future? - I very much hope that the centre will become efficient and we will be able to do the new show, inviting good authors to carry out research activities. The center has a great base for this. A separate wing is reserved for the residence, a-гостиницу for the guests of the center. Now, for example, we have launched the international ceramic Symposium, which consists of ten artists from different countries, and by the end of the exhibition. It is important to gather around the center of the names on the birth or the work connected with Daugavpils, such as the Solomon Gershov, Jacques Shapiro or Maurice Kish... It's a huge layer of culture and mark Rothko – only the dome is above all this wealth.